Researchers have known for some time that nonlinearity exists in the financial markets and that neural networks can be used to forecast market returns. Unfortunately, many of these studies fail to consider alternative forecasting techniques, or the relevance of the input variables. 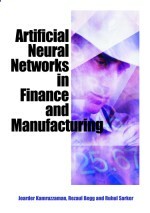 The following research utilizes an information-gain technique from machine learning to evaluate the predictive relationships of numerous financial and economic input variables. Neural network models for level estimation and classification are then examined for their ability to provide an effective forecast of future values. A cross-validation technique is also employed to improve the generalization ability of the models. The results show that the classification models generate higher accuracy in forecasting ability than the buy-and-hold strategy, as well as those guided by the level-estimation-based forecasts of the neural network and benchmark linear regression models.